Are you struggling to find exotic cat names? Even even just one, perfect, exotic cat name? Tanya Clark has got you covered! 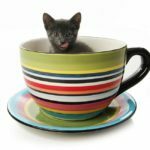 Does the term “domestic exotic cat” sound like an oxymoron to you? Far from being a contradiction in terms, an exotic cat is a simply a pet cat that has been bred to resemble its wild brethren. They’re not to be confused cats that have “Exotic” with a capital E in their name, such as the Exotic Shorthair (although we concede this is confusing). These unique animals are trending almost as fast as designer cats and dogs. And their future seems unlimited as far as demand and interest in these beautiful, mysterious cats are concerned. So your new exotic cat is likely to garner a lot of admiring interest, and they deserve worthy name! 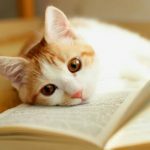 We’ve got hundreds of exotic cat names to impress you, but let’s find out a little bit more about these stunning cat breeds first, to get you inspired. What does exotic cat mean? There are two types of exotic cat: some of these felines are a hybrid cross of a domestic cat and a wild cat, and others are 100% domestic but look just like a wild cat species. Both categories have captured the public’s attention and are quickly gaining in popularity. Regardless of their genetic makeup, both types of exotic cat are bred to have a certain appearance and/or personality that is distinctly wild in nature. It’s easy to see the allure of an exotic cat, but not always so simple to bring one home. 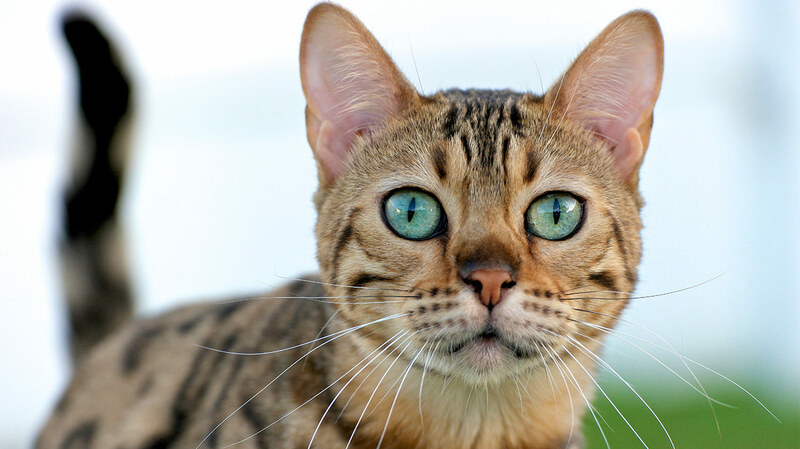 An exotic hybrid cat breed such as the Savannah or the Bengal is the product of cross-breeding between domestic and wild cat species. Sometimes their most recent wild ancestor was a long way back in their family tree, and sometimes not. You’ll need to know how their wild heritage impacts their personality and care needs. And you’ll need to check whether there are any legal restrictions on owning wild animal hybrids in your area. On the other hand, a 100% domestic exotic cat has no wild blood running through its veins, since it has no history of being cross bred with a wild cat. 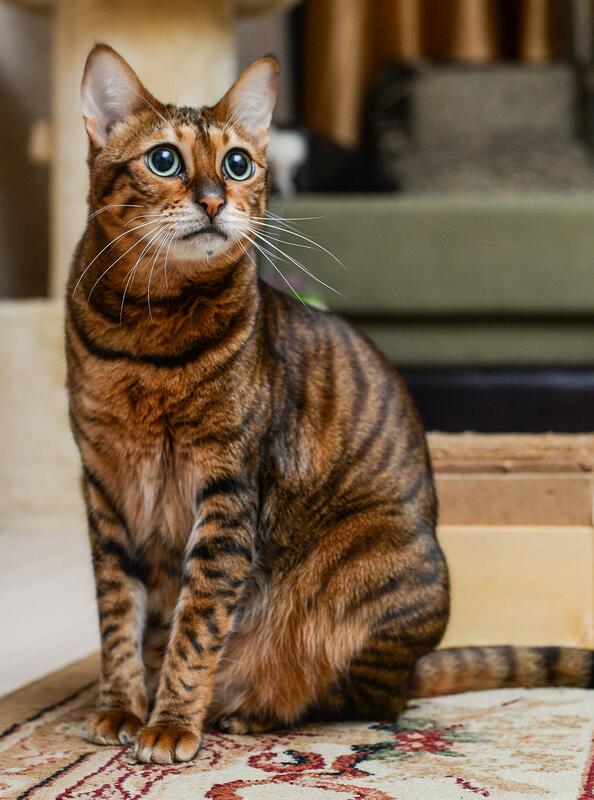 This charming little guy – for example an Ocicat or a Toyger – has simply been breed to have a wild appearance, without any wild genetic material. You prepare to bring home one of these cats as you would for any other domestic cat. Once you’re home, it’s time to think about the import task of choosing a name! Surely you would agree that an animal as magnificent and unique as an exotic cat needs, requires, and absolutely demands an equally sensational name. I mean, Bob, Boo, or Sue simply would not do! No, in the case of the thoroughly exotic feline, only a singularly quixotic name will do. And with that in mind, we’re going to present you with some brilliant, exceptional, dare we even say unparalleled exotic cat names! 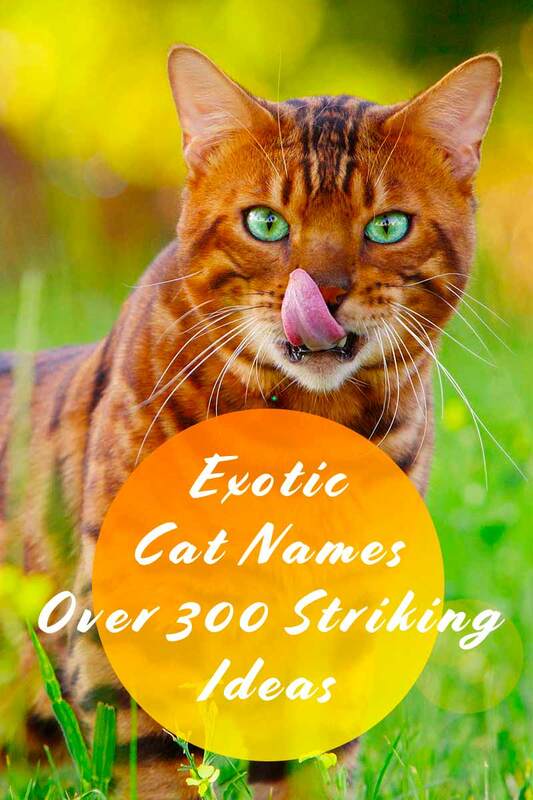 That’s right, we’ve got the bases covered for exotic female cat names as well as exotic male cat names. 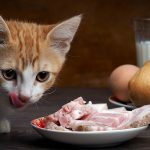 As we offer up some scintillating suggestions for your new mini-tiger or little lion, we’ll be sure to clue you in on some of the more interesting facts regarding each exotic cat’s life. What could be more exotic than a mellifluous feline name from another country or culture? Such a moniker would be perfect for an exotic cat with foreign origins. The Savannah cat is an exciting cross breed between the African Serval and the domestic cat. Subsequent generations were bred to additional cats including Ocicats, Oriental shorthairs, and Egyptian Maus. We’ve come up with some unforgettable Savannah cat names before, so now let’s take a new approach and draw on their Egyptian Mau heritage. Do you think that one of the these ancient Egyptian names would perfectly suit your Savannah male cat? We certainly think that the moggie in question would be impressed! Have you heard of a Pixie Bob cat? This chunky little fellow has the look of a wild bobcat combined with the mild manners of a domestic moggie. Just like a bobcat, Pixie Bobs sport a bobbed tail and a beautifully spotted coat. Doesn’t this darling little charmer deserve an equally cute (but fierce, of course) name? How about choosing one of these endearing monikers for your male Pixiebob? Now let’s turn our attention to the Ocicat, a 100% percent wild-looking moggie with 100% domestic cat DNA. This lithe, athletic looking feline is the result of breeding together Siamese, Abyssinian, and American Shorthair cats. The resultant furry bundle has a decidedly large, muscular body, and a semi-wild look on his lean face, but he carries himself with a friendly, affectionate demeanour. This cat, with its cool intelligence and sinewy power reminds me of a martial artist, much like the inimitable, late Bruce Lee. 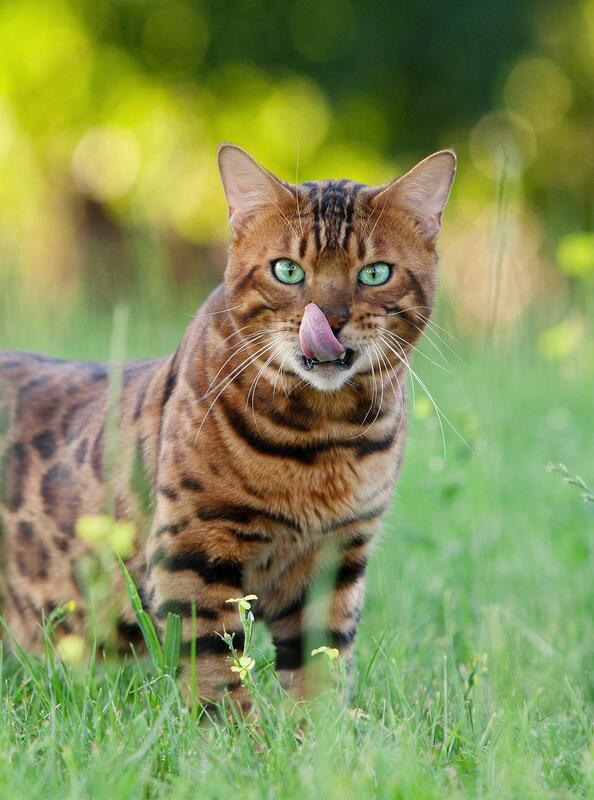 And then there is the strikingly beautiful Bengal cat, one of the best known of the exotic cats. This majestic moggie is marked with leopard-like stripes and the characteristic fur rosettes of his gorgeous Asian leopard cat ancestors. But in the end, the little Bengal has the sweet disposition of an everyday moggie: no baring of fangs for this gentle giant! 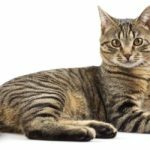 What would make Bengal cat names exotic and fitting for such a unique feline? Since his glorious fur ranges from orangey hues to earthy browns, I think that nature-inspired names are fitting and natural monikers. Any one of these nature-inspired names would be a fitting appellation for a Bengal male cat, don’t you think? Before it closed down, I used to visit a nearby Savannah cat store, a bright, spacious place where curious folks could drop in and play with these magnificent creatures. Even as kittens, Savannahs girls are huge kitties, and very strong when they play. I think female exotic cats deserve a name which is as fierce as it is beautiful! I’m sticking with the Egyptian theme again here. How do these names sound to you? I don’t think that I mentioned this when discussing male Pixiebob cat names, but these adorable little rascals have a little something extra (literally!) that adds to their cute factor. Exotic Pixiebob cats have extra digits on their paws (polydactylism) which give their mitts the appearance of super-big, fluff ball feet and hands. Aw! The strong-as-silk Ocicat females deserve a delicate but strong Asian-influenced name just as their male counterparts do. Mother-nature inspired exotic girl cat names are definitely called for when naming a female Bengal cat. They have strong, confident personalities, and I think that a name that corresponds to the natural elements is a purr-fect fit, don’t you? To end our look at exotic cat names, I’ve got some names that would be sure to please an exotic Serengeti cat! Serengeti cats are the result of breeding together a Bengal cat with an Oriental Shorthair. Their coat features golden shades with contrasting black dots, and they have long legs that like to be active. We hope you enjoyed our lists of exotic cat names. 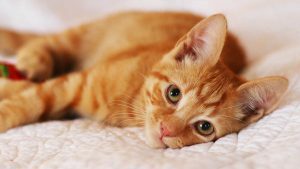 Exotic cats are a fast-growing segment of the domestic feline market. These fiercely beautiful and unique cats will definitely be more commonplace in our homes and lives as the years fly by. Are you ready to bring an exotic cat into your life? Choosing a forever name is one of the best parts of bringing home a new exotic cat. What exotic cat name did you choose? Introduce us in the comments section below! I have two cats named milo and Shadow. Shadows a Korat and I don’t know what milo is. I have two cats named milo and shadow.